KPBX FM Radio's next "Done in One" fund drive is Thursday, March 13. Throughout the day, SPR hosts and volunteers will ask for listener support on KPBX, KSFC, and KPBZ. The station's Spring Challengers promise a dollar-for-dollar new member match for the day. Last spring, SPR heeded public opinion and switched from traditional weeklong fund drives to one day drives in an attempt to increase donations without interrupting programming. This radical change has been greeted by an outpouring of listener gratitude, according to CFO Linda Stowe. However, the number of new members gained from fund drives has dropped drastically in the past few years. New members are vital to the future of the station and help maintain an effective operational budget. This allows SPR to continue offering free and easy access to important news, information, and culture to over 750,000 people in our region. Goodale & Barbieri Company acquires management of The Altadena. The owner of The Altadena, a multi-family apartment community, has chosen Goodale & Barbieri Company to assume management responsibilities of the historic, turn-of-the-century building. Built in 1908, The Altadena is located at 608 S. Stevens, next to Sacred Heart Medical Center and Deaconess Hospital. The four-story building contains 43 units, which feature 1, 2, and 3 bedroom floor plans, as well as large windows, fireplaces, high ceilings, and hardwood floors. Goodale & Barbieri Company will start their management services by renovating the common areas and updating the units, while still keeping its classic, antique details. Management will begin March 1, 2014. DIVCON, Inc. in the Spokane Valley, is the Inland Northwest's recognized leader in tilt-up construction, and has become one of the first companies in the U.S. to become certified by the Tilt-Up Construction Association (TCA). The association created the new certification system to recognize tilt-up contractors that have met strict safety standards and have demonstrated a proven track record of quality work. DIVCON has constructed dozens of tilt-up buildings in the region, including several that have won national awards for construction. It is the fifth company in the U.S., and the only one in the Pacific Northwest, to receive TCA certification. To receive TCA certification, companies must have completed multiple tilt-up construction projects, employ American Concrete Institute-certified personnel, maintain a strict safety program and track record, meet specific quality control standards, and present third-party verification of completed projects. Founded by John G. Miller and Susan E. Miller in Spokane in 1976, DIVCON, Inc. operates as a full-service contractor and specializes in market niches, including design-build projects for private customers. It is the recognized leader in tilt-up concrete construction in the Inland Northwest. March 14-16 at the Spokane Fair and Expo Center. All 4 buildings will be full of motorcycles and accessories. This year, Zacky's Custom Rods, builder of the famed Seahawks Motorcycle will be at the show. Northwest Classics Vintage Bikes will be on display. Play Toyotas Great Gas Giveaway and much more. For more information, visit www.spokanemotorcycleshow.com. In February, Coffman Engineers, a mid-sized, multidiscipline engineering firm, kicks off a series of events celebrating the 35th anniversary of their founding. In 1979, Dave Coffman founded Coffman Engineers in Bellevue, Washington. The company began as a seven-person structural engineering firm servicing Alaska-based industrial clients and Washington-based architectural clients. Under Dave Coffman's leadership, the firm experienced continuous expansion of their geographic presence and their engineering service offerings. Today, Coffman Engineers employs more than 260 staff members throughout seven offices and works on multidiscipline engineering projects throughout the world. The company earned $39 million revenue in 2013 and ranked as #262 on the Engineering News Record's most recent listing of Top 500 Design Firms. The company's year-long anniversary celebration includes open houses in each of their offices as well as internal and community events. More details will be announced as events approach. 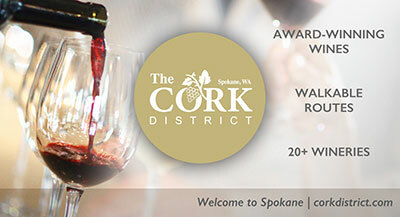 Eastern Washington's newest premier wine event, Swirl Washington will pair the state's finest wineries with Eastern Washington’s award winning chefs and finest restaurants. The proceeds from Swirl Washington benefit Providence Health Care Foundation, Eastern Washington. The Foundation ensures access to compassionate, world-class health care with special emphasis on reaching the poor and most vulnerable in the Inland Northwest. June 15, 2014 at the Davenport Hotel, marks the debut of Swirl Washington, featuring more than 100 wineries and 15 restaurants. This gathering draws an average of 600 people from all over the region. Sponsorship and vendor opportunities are available to showcase your business products or services to participating wine and food lovers. For more information, contact Wendi Haught, Framework Meetings and Destinations, wendi@frameworkmeetings.com or 509.230.4554. This workshop is Free and educational. Learn the pros and cons of startups, buying and existing business and franchise ownership. You'll receive information on how to find the right business for you, how much money you may need and how you can manage the risks. This workshop is presented by Charlie Magee of FranNet. FranNet is a SCORE national partner. Workshop will be held at 801 W Riverside, Suite 444. Registration required, visit www.scorespokane.org. If you or someone you know is interested in developing their leadership skills and expanding their knowledge of the Spokane area, consider attending the Leadership Spokane informational briefing, this Thursday, March 13 from 7:30 to 8:30am at SRBC, 1st Floor Conference Room, 801 W Riverside Ave. Learn about the Leadership Spokane program. You'll capitalize on your personal and professional development and contribute to the leadership team that is moving this community forward. Leadership Spokane is a great networking experience. You'll learn about opportunities and challenges in our region, and how you and your organization can get involved. The professional exchange and mutual encouragement in Leadership Spokane affords a place to share ideas. For more information, visit the website at LeadershipSpokane.org. Northwest Taste, a consumer food and beverage show is the only show of its kind in the region and is happening in Spokane, November 8th and 9th at the Spokane Convention Center. Consumers will sample hundreds of specialty foods from around the area including oils and sauces, meats and cheeses, honey and jellies. 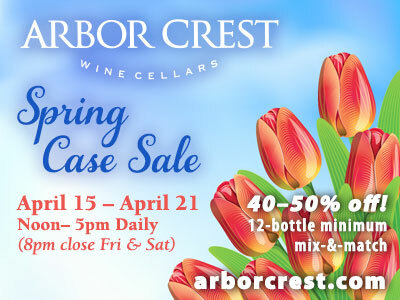 As well as sample from bakeries, chocolatiers and the area’s award winning wineries and breweries. While at the show, guests will see area chefs create signature dishes, view baking demonstrations and enjoy instruction from area experts in the over 21 area. To learn more about how to be part of the show as a vendor or sponsor, visit www.nwtaste.com. Mark your calendars for the Best of the West Awards Gala on Thursday, March 20 beginning at 5:30pm Event will be held at Northern Quest Resort. This is an awards gala celebrating businesses, organizations, and leaders on the West Plains. For more information, visit westplainschamber.org. They say "granting wishes never tasted so good!" And Wishing Star means it! The 7th Annual unCorked! on Friday, April 11th from 6:00 - 9:00 at the Lincoln Center. The local chapter of the National Association of Women Business Owners (NAWBO) is hosting this event, sponsored by Eastern Washington University. This year's unCorked features wine from 5 local women-operated wineries, food pairings and beer from a local brewery. There will also be a silent auction; a portion of proceeds will benefit local non-profit Transitions. New name for Aslin-Finch Co.
Spokane's three Aslin-Finch Co. stores have been renamed Country Store, following last year's acquisition of the longtime farm and pet supply retailer by Skagit Farmers Supply. The store names changed in January, along with modest enhancements in inventory added by the head company, based in Burlington, Wash.
Also renamed were former Aslin-Finch stores in Colville; Kettle Falls, Wash.; Stevensville, Mont. ; and Coeur d’Alene. The Aslin-Finch family of stores was launched in Spokane in the 1930s. It also produced and sold wholesale livestock feed under the names LMF Horse Feeds and Golden Harvest. Terms of the 2013 sale were not disclosed. "Our product mix is essentially the same," Country Store CEO Brian Duquaine said. "We just extended and added a few additional items to what has been in the stores," including more products for hobby farmers, he said.